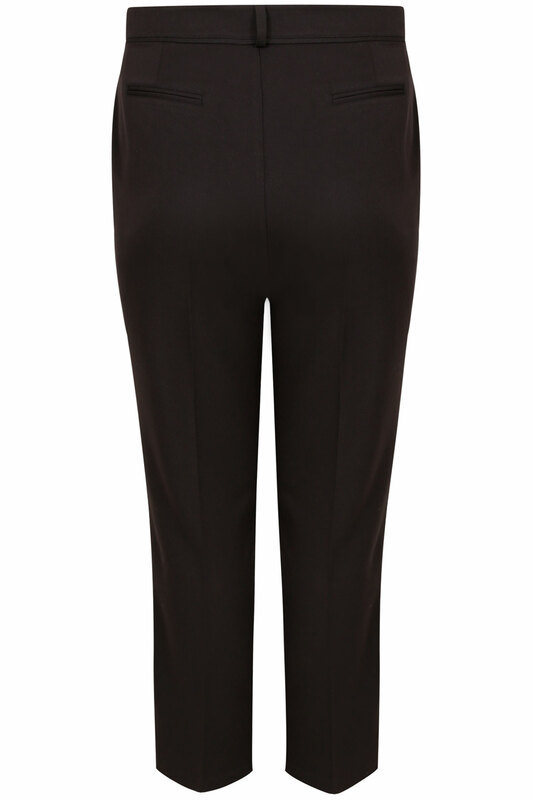 Inside leg length from (approx): 75cm/30"
Plus size black classic leg straight fit trousers. Features piping and belt loops to the waist, pocket detail to back, open pockets to front and zip and button fastening. 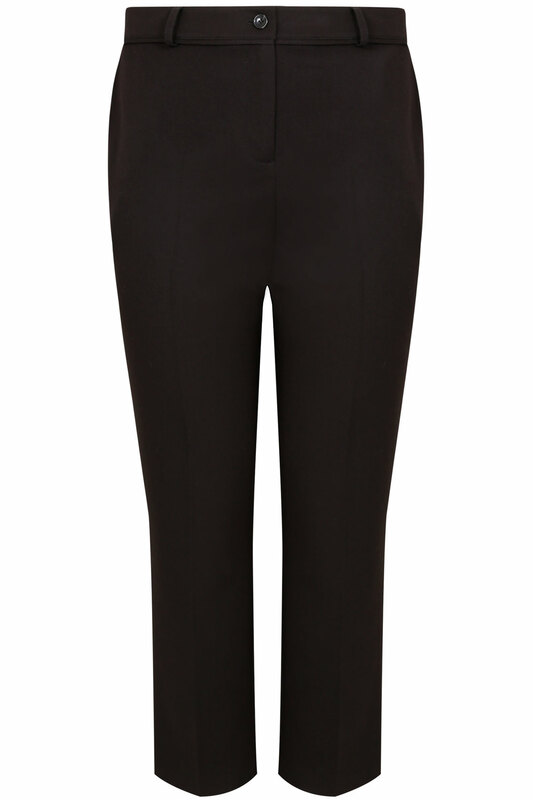 These stylish and flattering trousers are great for the office. Team with a blouse and loafers for a smart professional look.